Childlike Play & Fun – It’s too important to ignore! I used to play a tonne of Golf and I absolutely love the game. I gave up for 12 years, while business, marriage and kids got in the way but I’ve recently taken it back up. I get up at 4.30 – 5am most mornings and go and play or practice and I’m usually back by 8 – 8.30am and can’t wait to get back to the course again the next day. Golf is an analyst’s dream game but the problem with too much analysis is normally paralysis … and that was my weakness when I played years ago. This time I’m finding I’ve never played better golf … or enjoyed the game as much as I do! It’s because I’ve found my true love for just “playing the game”. I have fewer expectations on myself and my performance. I’ve learned to get out of my own way and just completley “give myself over to the process” and in doing so, I’m more relaxed and am enjoying the game like I did when I was a teenager. I believe this is why my improvement is happening at a faster pace than when I was trying and thinking too hard … and this is what I believe is the key to incremental growth and it’s what I believe the kids should be doing. Knowing that coding can become quite difficult to master and personally I don’t think you can ever master it as it’s constantly evolving, but you can master yourself by understanding that very concept. 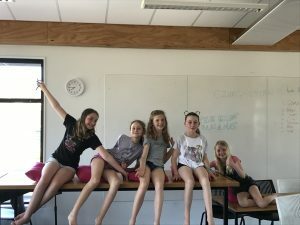 Since Bec and I started CodeCamp we wanted to create a sandbox with an environment where kids can come along and play, create, have fun, learn, solve problems and most importantly fall in love with the art of coding. Through this they’ll learn more about themselves and what they can do with it and how they can use it to express themselves. We’ve introduced a number of things like group projects, agile/scrum, modules, graduation, challenges and game play that reflects real life but in a fun way. We’ve also introduced a mastery path which students can follow to progress themselves from Junior Ninja to what we call a Full Stack Developer! , which requires both skills front-end user experience and back-end data management. In english this means being able to create a full blown application. With that said, we’ve had few parents asking us how their children are progressing, are they learning enough or are they just mucking around? We have a 90% retention rate for after-school programmes and we believe we have the right balance of play and learning for kids to fall in love with coding. I don’t believe that pushing or firmly encouraging kids into this area is for every child. Coding is hard and requires dedication, persistence, patience, perseverance, creativity and self-knowledge and these are the skills we’re working on teaching the kids first and foremost, which are the all important soft skills. Here’s another great snippet on soft skills. Three of our best Uni student instructors have just landed summer internships with tech companies and have credited the soft skills they learned while at CodeCamp with helping them get the job. Coding is becoming a necessary skill as evidenced by the education department making it compulsory by 2020 for all kids at primary school to learn how to code. It’s my believe that if everyone must learn how to code, it must be done in a way that allows kids to naturally or organically fall in love with coding and to have a clear vision of why they are learning coding if the kids are to have a successful experience. Just telling them they have to learn code won’t be enough and if it’s not taught in a fun way the kids are going to have a bad experience with it. They’ll either like it or they won’t. 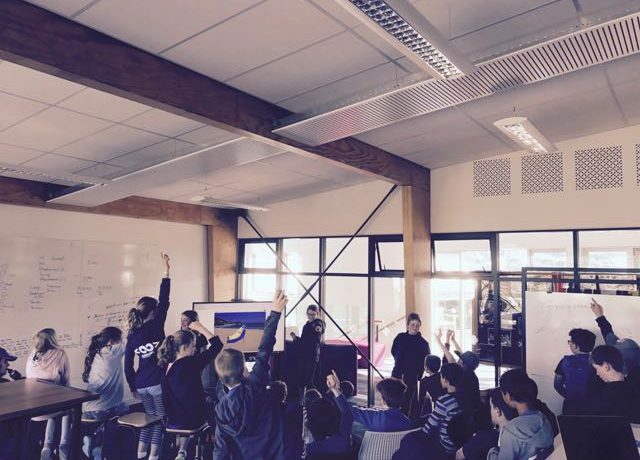 We’ve been using a game called “So What” when we do our tech check-ins and with it, we ask the kids, “why do you want to code?” … and when they give us their answer, we say “So what?” in which they have to think of another reason why they want to code. We’ve found with this method they really start to think deeply about the why and surprisingly the one’s that we thought were least interested gave us the most layers of their why, which tells me they love coding but just can’t see yet what it can do for them, hence the search for more reason. 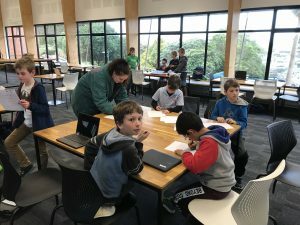 So to sum this all up we want the kids to play and just tinker around on a path that will eventually lead them to a place where they can create their own vision of what they want to do with coding and the longer they stay on it, the more chance of creating and relating that vision to become more meaningful for them. What can they do with Coding? This is what I mean by the longer they are on it the more chance they’ll have in understanding how they can help themselves get what they want through coding. The biggest misconception is thinking they have to be a full time programmer and we dispel this myth by asking them what they love doing and most of them will say I want to be a rugby or football or netball player. We then get them to look at it another way … for example if you want to be a rugby player and you don’t make it, then you can fall back on solving problems for the rugby industry by building an app, which means you can still be in the field you love and be around like-minded people by solving their problems through software. This relates to any industry as we know that software is pervasive in every field. If you want to be a nurse you can easily create basic script that takes data from a spreadsheet and outputs a solution to help with decision making or even creating a mobile app with block based coding to do the same thing. This scenario will become common place in the future if coding is to become compulsory. By the way, I think Coding today is probably the best DIY skill anyone can learn. I hope you all have a great Christmas and Playful & Fun Year Ahead of You.